Here are some Frequently Asked Questions about wildland fire. We will not attempt to define the hundreds of terms and phrases that are common and unique to wildland fire, but the National Wildfire Coordinating Group has a very good Glossary of Wildland Fire Terminology. Where can I find information about fires that are burning right now? There are a lot of sources on the Internet. Here are some you can try. 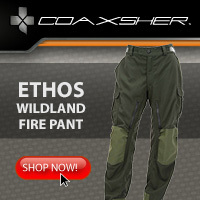 How do I get a job as a wildland firefighter? 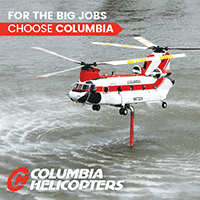 USAJobs is a good source for information about wildland fire jobs in the federal government. Most federal wildland firefighters are technically “forestry technicians”, so at the USAJobs site you should search for that term or “fire”. To work for state or local agencies you will need to inquire with each individual organization. What training does a wildland firefighter receive? Most entry level wildland firefighter jobs require that you complete at a minimum, Firefighter Training (S-130) and Introduction to Fire Behavior (S-190) either before or just after you are hired. If you want to get these courses before you apply for a job, check with your local federal or state land management agency, or inquire at a community college. Or search on the Internet for a wildland fire academy. To reach the highest level of rank or qualifications, such as the position of Type 1 Incident Commander running the largest fires, it takes longer than it does to become a General in the Army. What are the physical requirements to be a wildland firefighter? The job of a wildland firefighter is VERY physically challenging. VERY. So if you have never worked out of doors or used your muscles for anything more arduous than operating a video game controller, you will have a hard time. The federal agencies require that firefighters pass a Work Capacity Test, or “pack test”, that requires you to walk three miles on level ground in less than 45 minutes while carrying a 45-pound pack. Some states and local agencies use this test, but many use other types of physical-agility tests. Fire-related jobs that are less arduous than a firefighter have different and less arduous versions of the work capacity test. And did I mention that the job of a wildland firefighter is VERY physically challenging? How can I get a job as a wildland firefighter in another country? It is very, very difficult for a U.S. citizen to get a job as a firefighter in Australia. Forget about it. For a citizen from outside the U.S. to get a job as a firefighter in the U.S. you would first need to be sponsored by an employer. Then you need a work permit from the U.S. embassy and a “green card” or resident alien card. What is a “Red Card”? It is a wallet-sized card that certifies that a person is trained and qualified to perform specific jobs on a wildland fire or other types of incidents. After a person is hired and trained and they pass the required level of the Work Capacity Test, they are eligible to be given a red card by their employer. Years ago the cards were red, but now they are usually printed on more conventional paper. At what temperatures do forest fires burn? An average surface fire on the forest floor might have flames reaching 1 meter in height and can reach temperatures of 800°C (1,472° F) or more. Under extreme conditions a fire can give off 10,000 kilowatts or more per meter of fire front. This would mean flame heights of 50 meters or more and flame temperatures exceeding 1200°C (2,192° F). (Information provided by Natural Resources Canada.) The U.S. Forest Service researchers have documented a temperature of 3,000° F in a wildland fire. The failure of some of the components of the fire shelters used on the 2013 Yarnell Hill Fire, (the silica cloth and high-temperature-resistant thread) indicates that the temperature of the fire was over 2,000°F, hotter than many fires. A study of a fire tornado at the deadly 2018 Carr Fire at Redding, California determined that it reached peak gas temperatures that likely exceeded 2,700 °F. What is a “prescribed fire”? These are sometimes called prescribed burns, or controlled burns, but the term that most land management agencies use is “prescribed fire”. It is the process of treating land by using carefully and skillfully applied fire to burn some of the vegetation. When applied correctly by professionals, it is only done after writing a prescribed fire plan that addresses the specific characteristics of the tract of land being treated. It will include a “prescription” that requires that many different weather, environmental, and vegetation factors be within carefully defined parameters. The plan will also specify how the fire will be applied, by whom, and what fire control people and equipment must be on scene before the first match is lit. The reasons for using prescribed fire can be many, but they can often include: to replicate natural conditions, restore fire to the landscape, reduce unnaturally high accumulations of vegetation due to fire exclusion, reduce the fire hazard around structures or communities, enhance the habitat of animals, and control exotic species.The smoke from a prescribed fire can be a nuisance, but it is much less than would be created if the same area burned as an unplanned and uncontrolled wildfire. Fire is a natural part of most ecosystems. It is not a question of IF the land will burn, but WHEN and under what conditions…controlled, or uncontrolled. One thing that can be confusing is that the media usually uses the term “controlled burn”, which for them can be anything from someone burning trash in their back yard to a federal agency conducting a 5,000-acre prescribed fire that has been planned for four years. How can I obtain certification so that I can use prescribed fire on my own land? Check with your state forestry or wildland fire agency and ask if they have a program for land owners to use prescribed fire. Some states have one or two day training program that can qualify a person to conduct prescribed fires on their own land. 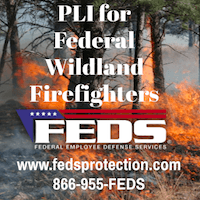 Texas has a law, HB 2599, that guarantees landowners the right to burn on their own property, then sets up a prescribed burn manager certification system administered by the Texas Department of Agriculture under the direction of the Prescribed Burning Board. For a fire department employee to become qualified as a prescribed fire burn boss, in an agency that adheres to national standards, it requires many years of experience and training. There are numerous prerequisite positions and courses that are required. As they move up from one position to the next, the firefighter must document satisfactory performance on a fire or prescribed fire in each position. It can take 8 to 15 years of full time employment as a firefighter to move up from being a firefighter to a prescribed fire burn boss. Keep in mind that the use of fire as a tool requires a great deal of knowledge and experience, and it is as much an art as a science. Many things can go wrong that can have catastrophic consequences. Anyone setting fire to the landscape, a private landowner or a government employee, should have liability insurance. How do I keep my home from burning in a wildfire? Briefly, your home needs to be “fire safe”. That is, the flammable vegetation within 100 feet of the structures must be reduced to the point where fire can not easily spread from the natural vegetation to your home. And the structures must be of fire-resistant materials and design. Firewise.org has much more information. What types of airplanes and helicopters are used to put out fires? Well, first, aircraft don’t put out fires. The best they can do is to slow down a fire to allow firefighters on the ground to get in close and actually put out the fire by applying water from hoses or to physically cut the vegetation away at the perimeter of the fire with hand tools so the fire runs out of fuel to burn. 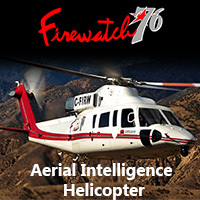 Cal Fire has an excellent publication with photos and descriptions of the most commonly used firefighting aircraft. When thousands of firefighters assemble to fight one of the larger wildfires, how are they organized? Following some disastrous fires in southern California in 1970, firefighters began designing an organization system that was based on the military. It eventually evolved into the Incident Command System (ICS) which defines jobs or positions that can be activated and used on fires and other types of planned or unplanned incidents. Each position has clearly defined duties as well as training and experience requirements. Each person filling a position that has been activated knows where they fit into the organizational structure and to whom they should report. Standard terminology is used to facilitate communication so that personnel from different agencies can easily work side by side. The system is flexible and scalable so that it can be used on very small or very large incidents. The ICS became used, not just by firefighters, but by many emergency management agencies as it evolved further into what is now known as the National Incident Management System, or NIMS. In 2003, it formally went national with the passage of Homeland Security Directive number 5, mandating that all federal, state, and local agencies use NIMS to manage emergencies in order to receive federal funding. Great quote about What is the meaning of Life!!!! Also, lot of other useful and correct (hopefully!) information on this site. Thank you. I enjoyed my visit! Wildfires are usually named after a nearby geographical feature. Single-word names are preferred, but not required. The simpler and shorter the name, the easier it is to insert into the various reports, and there will be fewer errors. Sometimes a fire will be named after the cause or origin, such as the Milk Fire, that was caused when a truck carrying milk caught on fire and spread to the wildland. And yes, they can be named after a nearby mountain or a road, a feature or place that you can see on a map. Thanks for the reply on retardant, I remember some people spraying there homes in another fire in Colorado and they good results. Hi Susan. Fire lookouts are still being hired on in many areas of the West, and many lookouts are now staffed by volunteers. There’s also another seriously groovy hi-tech system being developed – a remote camera smoke-detection system. It’s under development now in central/eastern Oregon, pioneered by the Douglas Forest Protective Association. When I first started working with the Tennseess Division of Forestry (Western District) back in the 80’s many of our fire towers that were manned for wildfire detection were being used only occasionally and on high fire danger days. Most of the detection was being done with single engine “spotter planes”, again on high fire danger days. Being a relatively rural area, and with the advent of cell phones, we now get most of our calls for wildfires from the public. Unfortunately, while effective, the cost of aerial detection has become cost prohibitive and we no longer use this platform. I thought wild fire was the racing of fire across tree tops. Every fire seems to be called wild fire these days. A wildfire is an unplanned, unwanted vegetation fire, including unauthorized human-caused fires, escaped wildland fire use events, escaped prescribed fire projects, and all other wildland fires where the objective is to put the fire out. A crown fire moves from treetop to treetop through the crowns of the trees. A crown fire or “running crown fire” might be considered an example of very intense fire behavior, often driven by powerful winds moving through dense, readily ignitable fuel. If conditions moderate or the fire gets to an area that’s less fuel-dense or has been “treated”, the crown fire might drop back down to become a ground/surface fire, which might move more slowly and be less of an immediate hazard to fire fighters. Running crown fires, widespread group torching, long-distance spotting, or fires big and bad enough to affect local weather are events that should get people’s attention. Work with your commanders and see if you can do your AT rotation in the winter months. Put it in writing in request explaining your situation. 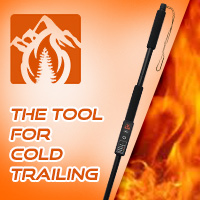 Is there and accurate resource to track fire smoke paths in northern California?? Hey. I was wondering. I got into some trouble and my agency fired me. What happens to y red card? How many days did it take to put out the horsethief canyon fire of September 8, 2012? I don’t know the answer to your question, but you can research the data at Inciweb. And, HERE is a link to articles at Wildfire Today tagged “Horsethief Canyon Fire”. probably a silly thing I’m going to ask but its just a odd thought..so here it goes. firefighters on the ground sometimes can not get close enough to cut the trees or dig ditches to make a fire line, and the aviation side the buckets aren’t big enough to drop the water needed to help surpress a wild fire in the woods …. why don’t we use different aircraft and drop sand and dirt to help create a fire line or aid in suppression of the wild fire its self on top of the chemicals that can be dropped as well ? just thought I would ask. seeing some wild fires get really big at times with no containment wouldn’t it make sence to give it all we have to try to get a handle on the fire or create a difficult fire line for the fire to cross to help protect homes before the fire gets close enough to evacuate the homes? To expand on Pat’s comment … sand is approximately twice as dense as the liquids used in firefighting so aircraft could only carry half as much sand. Pound for pound, liquids are more effective so it would be much less effective for aircraft to use sand or dirt. Dorian, here’s a crude rough start at an answer. I think the answer about dropping dirt would be that you would need an enormous amount of it to stop a fire, and part of the problem is that dirt does not stick well to vegetation, such as trees and brush or tall grass. By contrast, water can be mixed with some retardant chemicals to make it more “sticky”, so a few gallons of water can treat a room-sized area. ; a small plane might treat an acre to make it slow or temporarily stop fire and a big airplane could treat something like ten or more acres. This buys time for fire fighters on the ground to dig control lines around the fire. Fire engines on the ground may also be used in a similar way to create “wet line” or help reinforce lines being dug, or cool down the fire’s edge and slow it and make it less immediately dangerous. Dirt is used indirectly in fire fighting, by fire fighters digging lines down to bare mineral soil or by bulldozers or other equipment doing the same thing. And fire fighters will sometimes use shovels or tools to throw dirt on small hot spots, on top of stumps, or during mop-up operations. 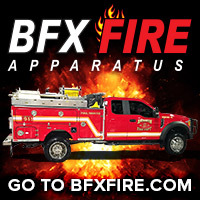 What are the chemicals added to water used for fire control/suppression, and what do they do? I am in no way a pro, but I am confused. Unless I have been misled, the 1906 San Francisco Fire was stopped by dynamiting Van Ness Ave. And yet I never see any reference to explosives being used to create fire breaks. Why is this? If you could provide a reference to explosives being successfully used in 1906 in San Francisco, I would appreciate it. Fireline explosives have been used for decades on wildland fires. They are no longer very common, but they can be used to construct fireline (fire break). The explosion removes fuel which hopefully stops the spread of the fire. It is also used to fell trees that are too dangerous to fell with a chain saw. We have a couple of articles tagged fireline explosives.